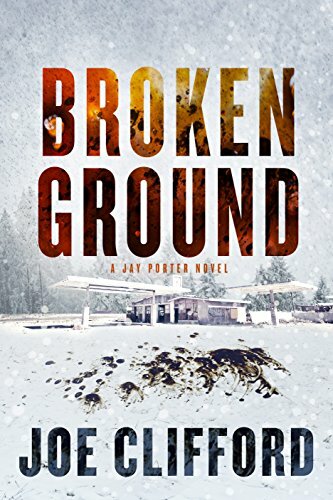 “Broken Ground” is the latest book in ‘The Jay Porter Series’ by Joe Clifford. Recovering addict, Amy Lupus, needs help. Her little sister Emily has gone missing from Coos County Center, an addiction treatment and recovery center owned by Jay’s nemeses, Adam and Michael Lombardi. Jay is averse to getting involved in anything having to do with the Lombardi brothers, but somewhat reluctantly agrees to help. The thing is, Emily Lupus is no junkie – she’s a student, interning at a local newspaper, investigating a toxic secret buried beneath the grounds of the treatment center. With mega bucks at stake, several highly influential people are motivated to keep the dark secret quiet– at any cost. When Jay learns there is a missing hard drive involved, his interest in the matter piques – he knows this case is somehow connected to his brother’s death and will stop at nothing to find the truth. Jay’s already been warned to stay out of the investigating business, but he can’t seem to help himself, and as trouble follows him wherever he goes, his meddling continues to bring disaster to the people who dare to get close to him. “Broken Ground” is such an amazing read I devoured it in two days. The writing is electric, fresh and contemporary as Clifford draws his readers in with his candid characters, chilling suspense and sinister plotline. As this is the first book I’ve read in the series, I realize I am late to the Jay Porter party—but wow—I am now a fan. All said, I can tell you that this story is so well-told that there was absolutely no point in the narrative where I felt I was missing anything. It is a solid standalone novel, but I am inspired to go back and read the rest of the series because it is so good – not to play catch up. The characters really drive this story. Clifford’s intimate relationship with addiction brings an authentic representation of the protagonist and some of the side players in the story. Jay Porter is the first to admit his flaws and it is exactly those flaws that reach out to the reader and demand your devotion. His descriptions of life inside the halls of AA and dealing with the colorful personalities found within the rooms had me howling. From the lady who doesn’t have a place to live (or a job, or any money), yet thinks her biggest issue is moving through the grief of her cat (that’s been dead for six years), to the old-timer who is a jillion years sober handing out unsolicited advice on what constitutes sobriety when he sees Jay popping anti-anxiety meds, I just couldn’t get enough. As well, Clifford also hits on the darker side of addiction and those who succumb to the disease, and pay the ultimate price. These scenes are a thousand times more terrifying than anything that could be imagined, sending chills up my spine every time. With an intense, creative plot, vivid settings and multi-dimensional characters, readers will be hard pressed to put this book down once they start reading. Jay Porter’s revitalized determination for justice at the end of “Broken Ground” promises yet another exciting story to come. Five stars to Joe Clifford for a brilliant, entertaining thriller.